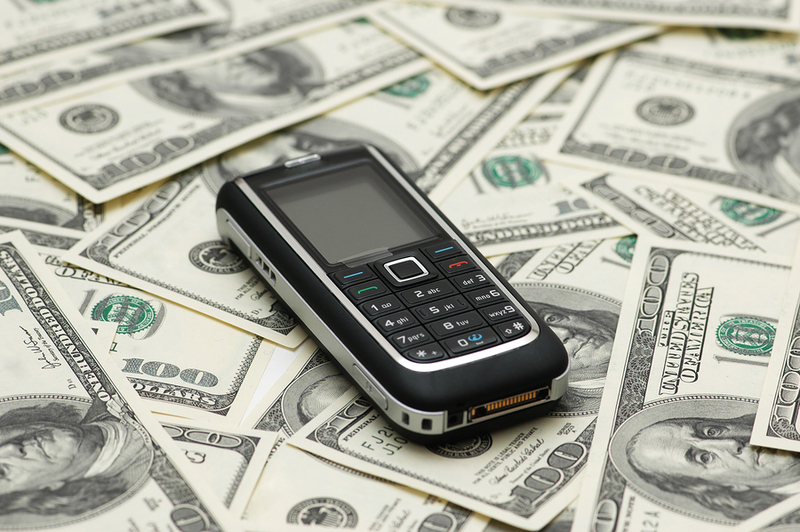 How Do You Cope with Cell Phone Overage? I’ve been using VoIP here and there for a few years…mostly to chat with my high school pals back in Shanghai. I’m more of a cell phone gal…don’t like to talk to PC too much. But the incident last summer made me seriously consider getting a VoIP number. We had a family emergency in July, so I was constantly on the phone talking to relatives here in California, and also keeping everyone back home in Shanghai updated. When the phone bill came, I realized the real emergency is on my pocket. I was hit with nearly $300 overage charges! Clearly I lost track of my time, since that was the last thing on my mind. But still I was really astounded by the large bill and how fast the overage built up. I use the VoIP number to make and receive international calls and voicemails, so the zero connection fee and free voicemail features really work for me. 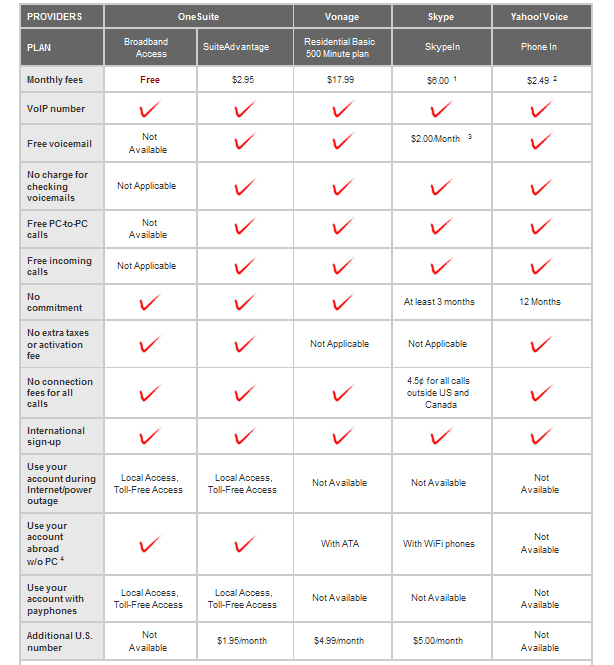 Plus SA has a very low subscription fee, and doesn’t require 3-month or 12-month commitment. I would be more tempted to go with Skype™ if I could sign up a number in China, but it’s still not available. Well, I already have a OneSuite account, the SA subscription is also under the same account. I’ve encountered enough customer inquiries to know how to make good use of the product. When I’m home, I activate the call forwarding function on my cell phone, to port all incoming calls to my SA number. (Here’s another tip: to avoid the carrier charging you on the forwarded calls, only forward “unanswered calls,” and just not pick up the call on your cell.) And I also try to make calls from PC, whenever I can. The rates are so low anyways. Translation: No more counting the minutes on cell phone and no overage since. Admittedly, talking on the PC requires some getting used to, but that little change goes a long way! How does everyone cope with cell phone overage? That's an innovation right there Oscar, thanks for sharing. Though I don't think I'll be needing it because I got prepaid mobile phone and only use it for emergency and some incoming calls. Most of my long distance go through with OneSuite and almost half of calls are spent using OneSuite VoIP service. Friend of mine told me about a free online service CellKnight.com that alerts you by sms and email when you are getting close to your allowed quota of minutes. Have been using it for couple months- working fine so far- send me couple red alerts as I got really close to my minute usage. I got Internet Explorer and Firefox side by side and there's hardly any difference at all. I agree though that the content is excellent. Keep it up guys. Another solution is to use a "silent" ringtone for those annoying relatives (you know who you are) who love to talk but never have anything important to say; they'll go to voicemail where they will leave a message... NOT! I like the idea of VOIP service provided by OneSuite. However, I don't like to wear a headset sitting in front of my PC to make phone calls. The technology exists to break this barrier, I don't understand why OneSuite is not providing support. The OneSuite "softphone" is a version of "SJPhone". Windows mobile version of "SJPhone" exists. I myself actually have it working with my pda. So why not support it so people with windows mobile devices like pda's, cell phones can take advantage of that and free themselves from the softphone prison? Another idea of gaining freedom from softphone prison is to use our home phone to make OneSuite VOIP calls. Again, technology exists. A USB Telbox can be had for $25. This device is normally sold for using with Skype, but driver exist for "SJPhone". I have not experiment with it but I am sure it will work, so again, why not support it? From what I see, your tech guys have a lot of opportunities to enhance the service, but last time I check, your softphone is not even supporting Mac!